The Panasonic Lumix G Vario 12-32mm lens is suitable for all Panasonic cameras with a 4/3 mount. With a focal length of 12-32mm (35mm equivalent: 24-64mm), this lens is one of the versatile wide-angle lenses which can be used for a variety of purposes, including wide-angle photographs and portraits. It is very compact, and thus you can take it with you anywhere. The stepping motor ensures seamless and fast autofocus, both when taking pictures and shooting videos. The built-in image stabiliser lets you capture beautiful photos even in dim lighting conditions. 70 g (70 g) Done! 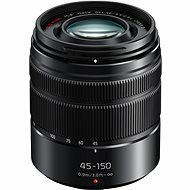 For shipping to other EU countries visit this page Panasonic Lumix G Vario 12-32mm f/3.5-5.6 Black. Für Versand nach Deutschland, besuchen Sie bitte Panasonic Lumix G Vario 12-32mm f/3.5-5.6 schwarz. Chcete doručit zboží do Česka? Prohlédněte si Panasonic Lumix G Vario 12-32mm f/3.5-5.6 černý. Chcete doručiť tovar na Slovensko? Prezrite si Panasonic Lumix G Vario 12 – 32 mm f/3,5 – 5,6 čierny. Für Versand nach Österreich, besuchen Sie bitte Panasonic Lumix G Vario 12-32mm f/3.5-5.6 schwarz. 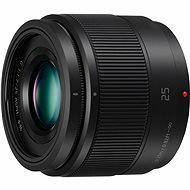 Magyarországra történő kiszállításért tekintse meg ezt a termékoldalt: Panasonic Lumix G Vario 12-32 mm F3.5 - F5.6 Fekete.